The number of young people being detained in Oberstown has dropped over the past 12 months. 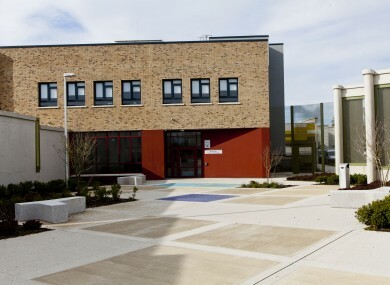 THE OBERSTOWN CAMPUS is making ‘real progress’ its chairperson said today after a ‘challenging year’. The youth detention centre has seen a fire, a standoff with a Garda riot squad and industrial action in the last year, but today launched a new pathway for youth detention in Ireland. The event marked the campus’ first anniversary in its current guise as a combined care, health and education facility. Chair of the facility Professor Ursula Kilkelly said that while this year was challenging, a number of external reviews commissioned in response had allowed an implementation plan be put in place. ”Oberstown is a most important part of our youth justice system and its successful operation is critical to ensuring that children are supported in their learning and development. Oberstown Director Pat Bergin says that the campus has improved in the last year. The number of young people being detained in Oberstown has dropped over the past 12 months. As of 15 May 2017, there were 29 children (capacity is 48) in Oberstown, 22 serving a period of detention and seven remanded in custody. The Department of Children says this downward trend is as a result of the Garda Diversion Programme, the use of alternative sanctions under the Children Act 2001, improved release planning supports and increased legislative awareness that detention of a child should be imposed only as a measure of last resort. Email “After a fire, violence and a strike Oberstown 'making real progress'”. Feedback on “After a fire, violence and a strike Oberstown 'making real progress'”.